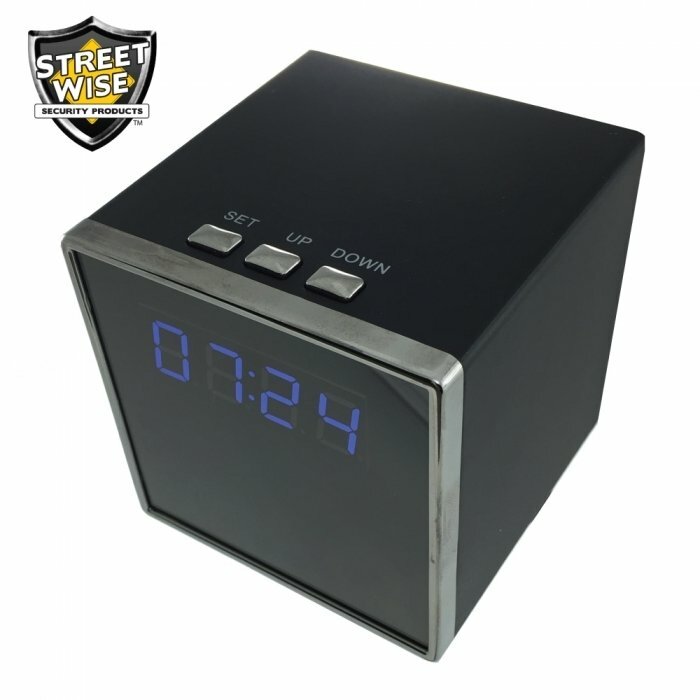 This fully functional desk clock is also a hidden spy camera with night vision and built-in DVR that records video to a Micro SD card. 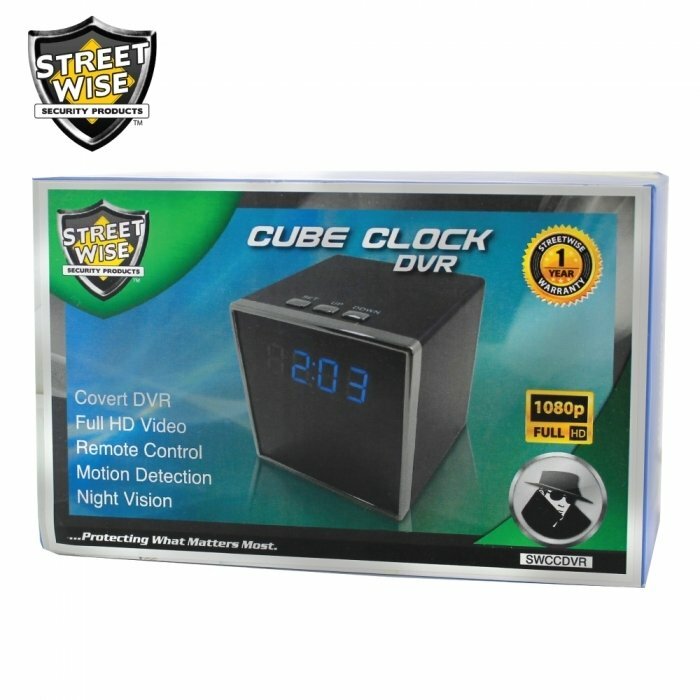 High Quality Video - 5 MegaPixel CMOS Camera with 1920x1080 Video Resolution. Very few hidden cameras offer night vision but this one does! See up to 5 feet in total darkness. The built-in infrared lights let the camera see clearly in total darkness but these special IR lights are totally invisible to the human eye. Never miss out on important events - record internally to a removable Micro SD memory card (sold separately), up to 64GB. When the card is full the oldest video is recycled to make room for the newer video. 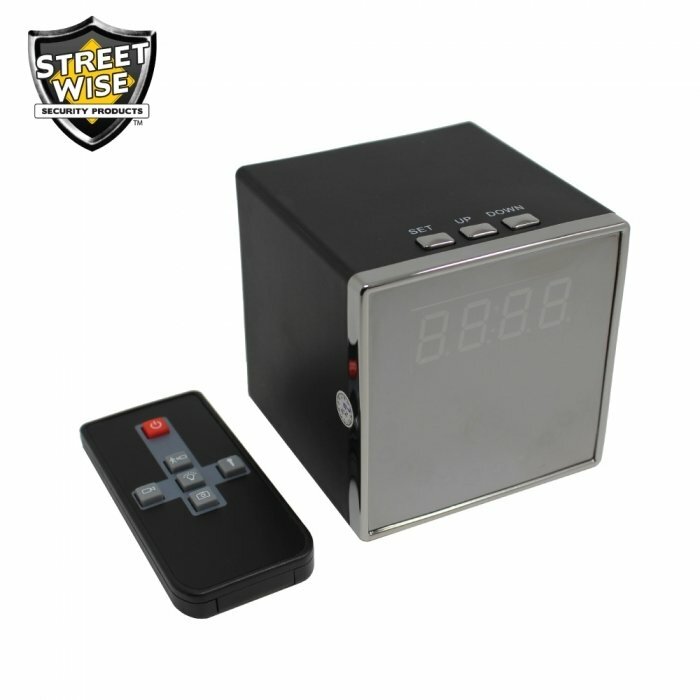 Choice of recording modes: Manual Mode allows you to record 24/7; Motion Detector Mode only records when it sees movement in the video. Full Time Power or Battery Power - when the charging cable is connected it powers the camera too so you can record 24/7 or for as long as you need. The 2400 mAh built-in rechargeable battery can power this camera for up to 8 hours of continuous recording. 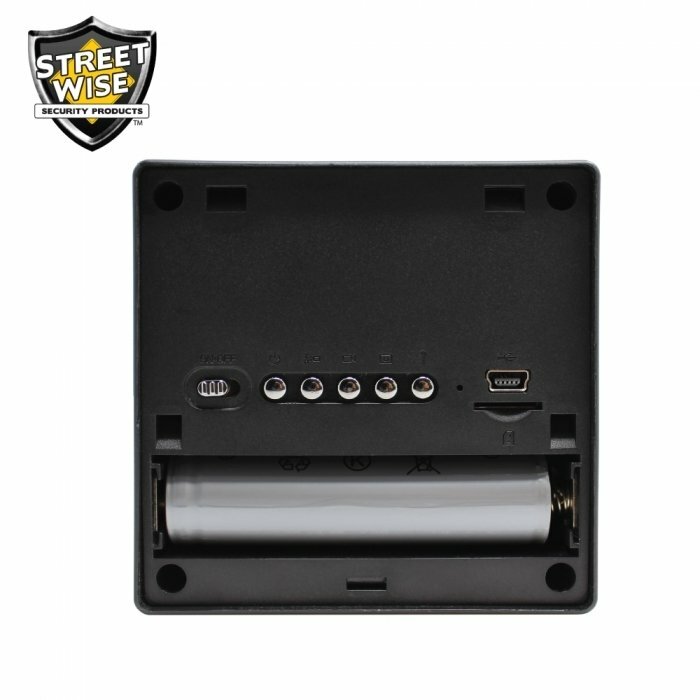 When motion activated recording mode is selected the battery will last longer (depending on the amount of motion in the view). Remove the Micro SD memory card to view the recorded video on any PC (or Mac) or connect to your computer/laptop with the USB cable. The video files are recorded as ASF (H.264) so they can be viewed on almost any PC, Mac, or other devices using popular free software like VLC media player. 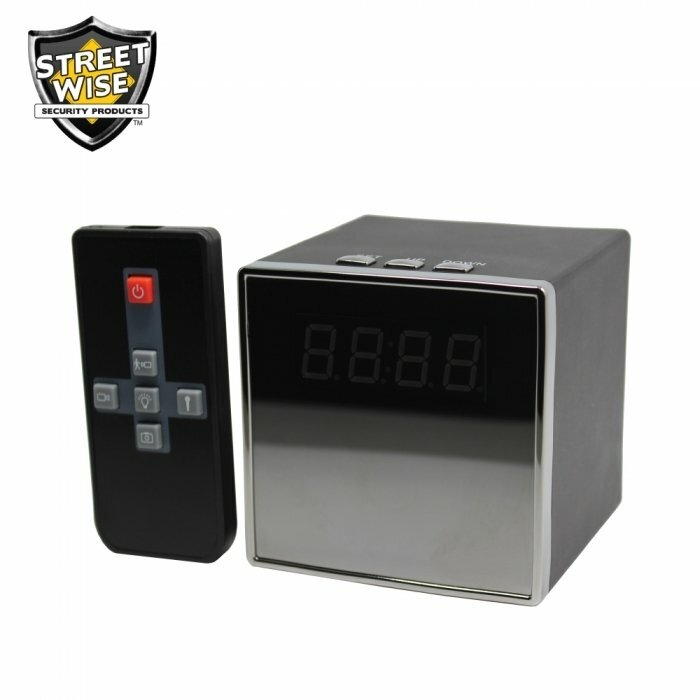 Secure Recording: Record internally to a removable Micro SD memory card (sold separately). Use up to a 64GB card. When the card is full the oldest video is recycled to make room for the newer video. 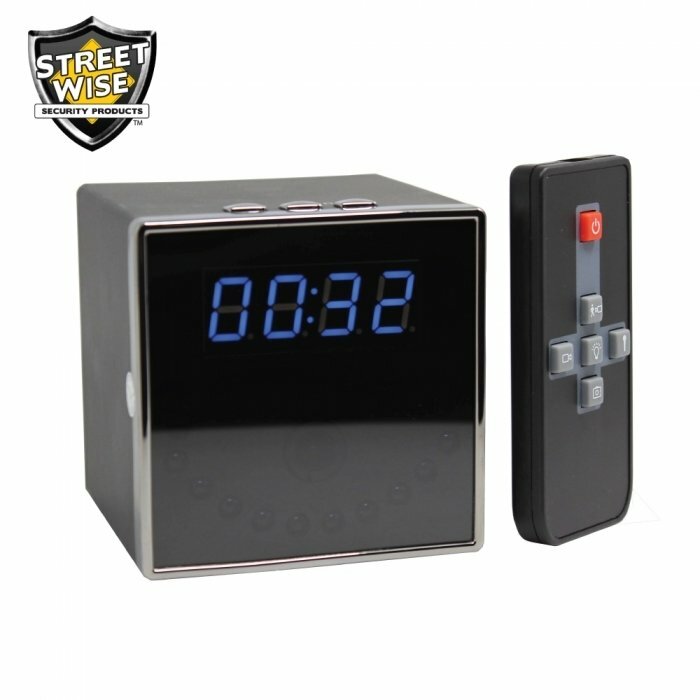 Multiple Recording Modes: Manual Mode records 24/7, Motion Detection Mode will only record when it sees movement in the video. 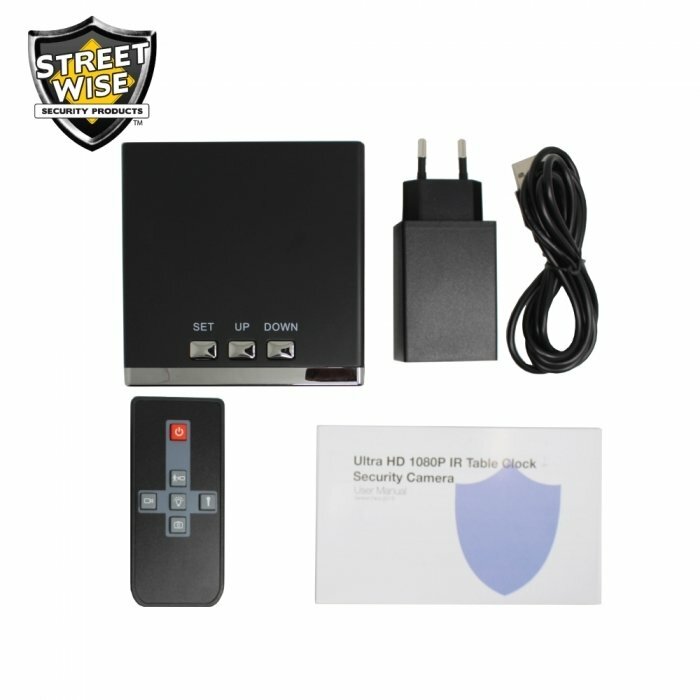 Program using convenient controls or with the included remote control. Easy Playback: Remove the Micro SD memory card to view the recorded video on any PC (or Mac) or connect the unit to your computer using the included USB cable. Digital Playback: The video files can be viewed on almost any PC, Mac, or other devices using popular free software like VLC media player.